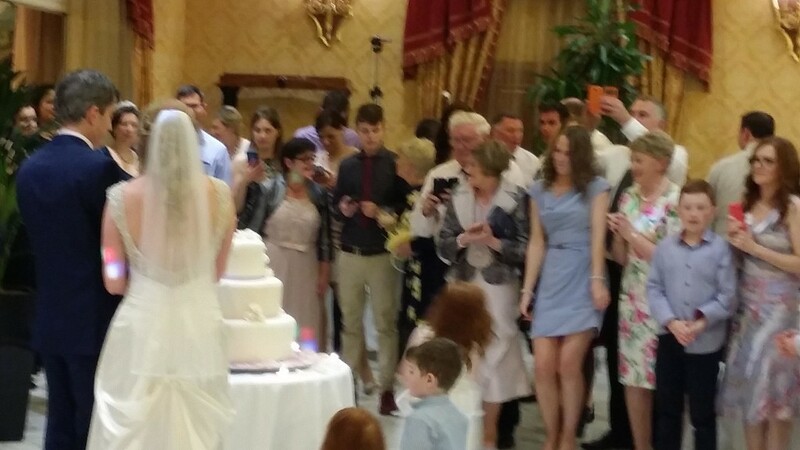 Irish Wedding party video mix at Parco dei Principi Grand Hotel & Spa, Via G Frescobaldi 5, Rome. The story of the evening in a double video of the dance party. Rome is one of the favourite destination of the Irish people for their wedding receptions. This time they chose this beautiful five stars hotel situated right in the centre of the eternal city close to the villa Borgese park and the Parioli district. The hotel personnel was very kind and welcoming and Guty & Simone chose the best position for the set up inside the restaurant hall in order to let the party guests dance. A very nice evening in a warm Italian spring day. Perfect for an Irish wedding party! Irish Wedding party with Guty & Simone the Italian wedding musicians. They play an excellent choice of live music alternated with dj sets to keep the dance floor always crowded. Wedding party at Parco dei Principi Grand Hotel & Spa in Rome.